Two elements define Spanish Xmas more than any other: the family celebrations and the turrón. Miss one of the two and nobody will believe it is Xmas! However, nobody in Spain could imagine Xmas without turrón. And I mean it. This quintessentially Spanish sweet is omnipresent at the Xmas table of every single family. Served after every meal as a sobremesa dessert, it is usually presented in a sharing platter, cut in little bars or bite-size pieces for everybody around the table to enjoy it. And although this is not based on any official data, I believe that given its excessive consumption, it is surely responsible for many of the extra kilos we Spaniards put around our waist during the festive break. 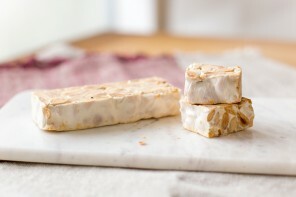 I absolutely adore turrón. 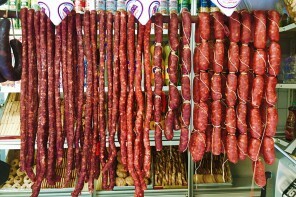 In any of the many varieties that you can find in the Spanish stores. I love it all! So much that during my Xmas trip to Spain, I regularly pay secret visits to the kitchen, looking for the big platter where my mum keeps the leftovers from the last meal so that I can steal yet another bite! Apparently this wasn’t always the case. My dad often tells the same story about when I was a little kid and I totally refused to try it. One day, tired of my stubbornness, he decided to force me to try one small bite. It seems that I started crying and screaming until the turrón started to melt in my mouth and I ended asking for more. Ever since, nobody has needed to insist about me eating an extra piece. BUT… WHAT EXACTLY IS TURRON? 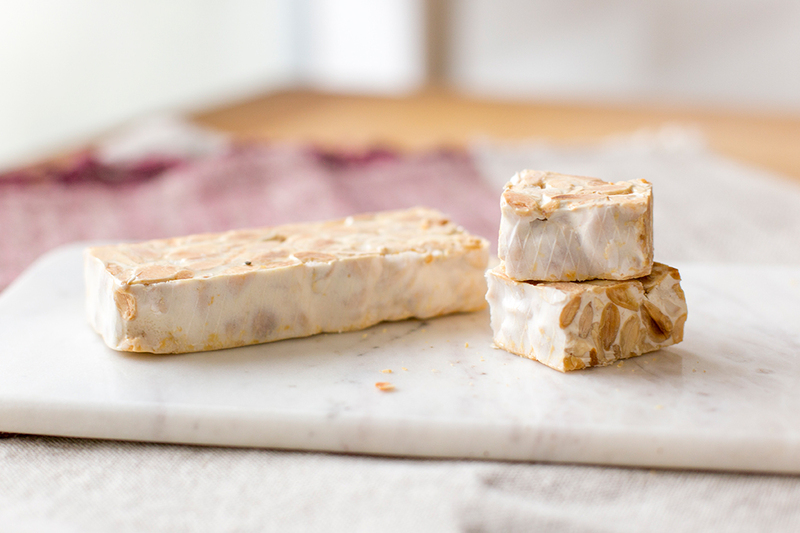 It is is a nougat-like confection typically made of almonds, honey and occasionally egg white too. 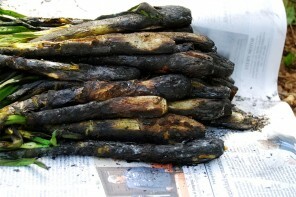 There are two main varieties: the hard one – also known as ‘turrón de Alicante’ – and the soft one or ‘turron de Jijona’. 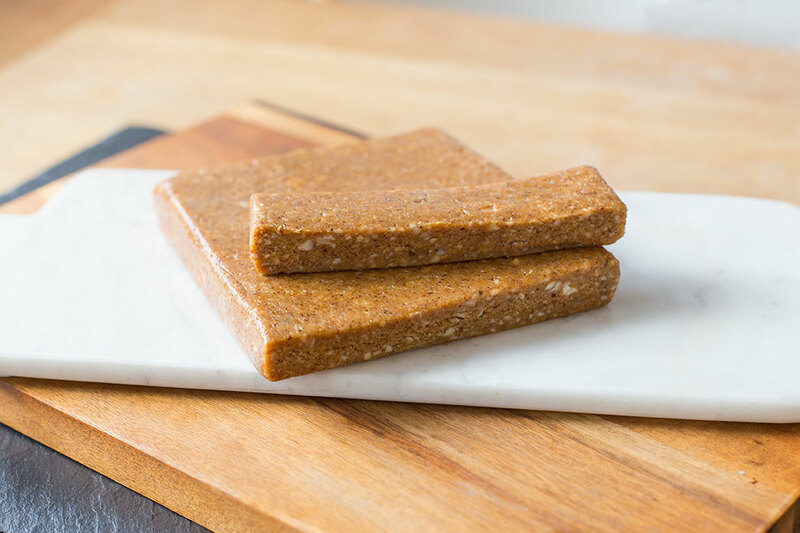 Both are made with the same exact ingredients, although the soft one uses ground almonds – as opposed to whole almonds – to achieve a soft and sticky paste. Although we can find an early recipe in some Spanish recipe books from the 15th century, we need to travel in time to find its true origins. Specifically all the way back to the 11th century and somewhere around the Arabian Peninsula. 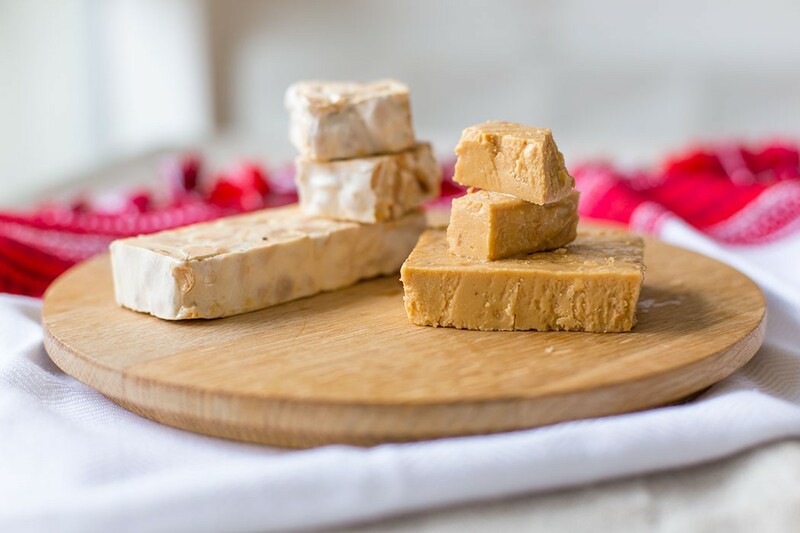 Like many other honey and nuts based sweets, it was the Moors who introduced the turrón in Spain, where it rapidly rooted near and around the region of Valencia, and more specifically in the old town of Sexona, currently known as Jijona. This town is still the absolute epicentre of the industrial production of turrón and as I mentioned above, it even gave its name to the soft variety, popularly known as Jijona. ARE THERE ONLY TWO VARIETIES? Not really. Both the soft and the hard one seem to be the original ones. Also the most popular ones still today. But you only need a quick trip to any Spanish supermarket anytime from November to early January to find huge piles of an astonishing number of varieties. Despite some of the most popular ones are not strictly turrón, most people would include the turrón de yema (egg yolk), turrón de nueces (walnuts), turrón de mazapán (marzipan) or turrón de chocolate (chocolate). My mum has been making her own turrón for years and I can guarantee you that it is a total hit around our friends and family. Everybody wants some! THAT IS GREAT… WHERE ARE THE RECIPES THEN? Here you have some of our homemade recipes. Give them a go and let us know your favourite. 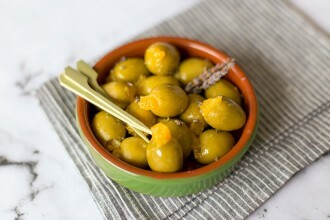 And please come back for more as we are always updating the site with new recipes!